What happens when you drop it all and move abroad? “Man, I’d love to do something like that.” But that first, wistful sentence is almost always followed by a litany of what makes the adventure too hard: houses, jobs, money, school, social commitments. Life. How can we just leave? It’s daunting, to be sure. But every year, a subset of determined families turn the “too hard” idea on its head and set out — and off — to change their lives. 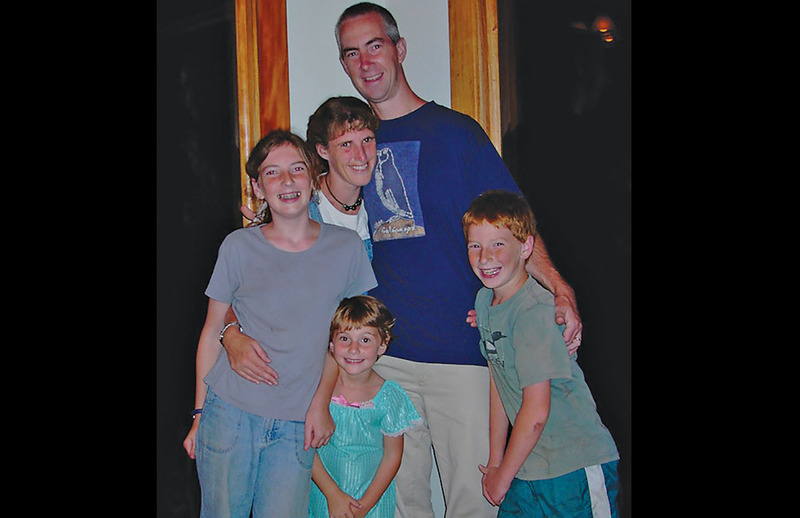 My family of five was among them; we spent a year in Costa Rica a decade ago, and it changed us forever. For this story, I sought out other families who also left the U.S. on a leap-of-a-lifetime to explore the common threads of our experiences: What was harder (or easier) than expected? What was the impact on families two, five, even 10 years out? And the biggie: Did the time-out give us — especially kids — the kind of perspective on our complicated First World culture that many parents long for? Too hard? As it turns out, for many parents and their kids, a gap year proved to be the quickest path to the stuff — values, family time, real-life experience — that matters most. All that packing and planning? Those are just logistics. At that age, would we have sent her [on her own] to run errands? No, we wouldn’t have done that. Many families who take a gap year want their kids to see the world as a place of thrilling potential, a wonderland to be explored. In other countries, kids are given more freedom and autonomy at a younger age than here in the hovermom culture in which many of us live. Such cultural support for kid independence makes it easier for parents to loosen the reins. 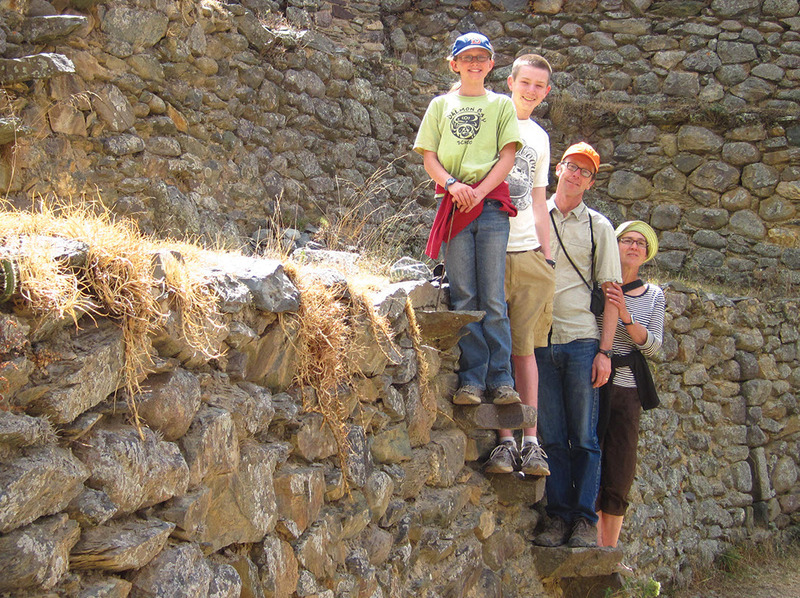 Sherry Smith and Matt Huston of Seattle moved to Cajamarca, Peru, for six months when their children, Sam and Sally, were 14 and 10. They immersed themselves in Peruvian culture — the kids were the only non-Peruvians at their school — and the parents found themselves letting Sam and Sally do things by themselves “that we’d be reluctant to let them do here,” says Huston, a middle-school teacher who was able to take a sabbatical. Hand in hand with independence come the ownership and creativity required for solving problems. We all want to raise kids who are problem solvers — but first, something has to go wrong. Travel has a way of flinging glitches in our paths. Family after family talked about their kids’ ability to rise to — and resolve — the unexpected. 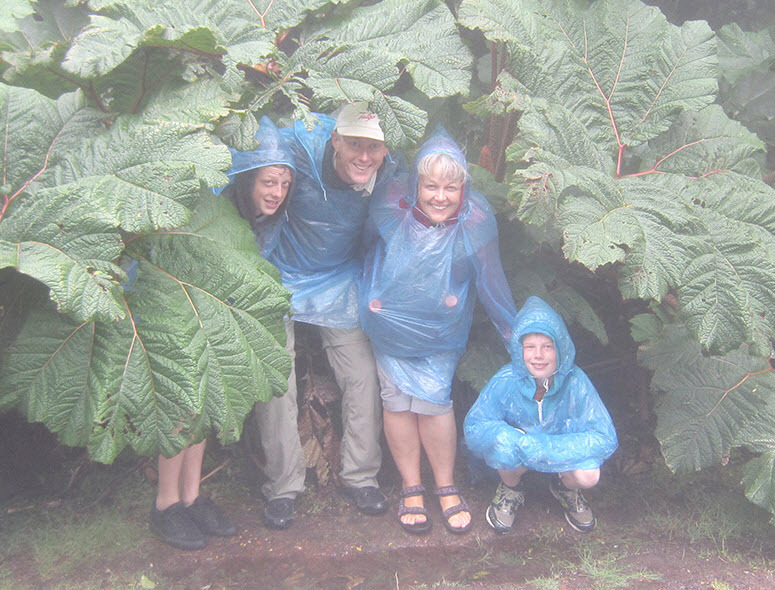 Three years ago, Dianne Fruit, a Spanish instructor, spent six months traveling and volunteering in Central America, South America and Europe with her family: Chris Eastland, an engineer, and sons Ridley and Rory. “Our kids got this great ability to roll with the punches,” says Fruit. We parents can handle (or prevent) much of the trouble that crops up on our home turf. Outside it, the kids get to step up in ways we’d never have dreamed. During my own family’s year in Costa Rica, our kids — ages 5, 9 and 12 at the time — had myriad opportunities to problem-solve, most notably during a weeklong trip to Panama. In Seattle she was still a little girl; at the border, she talked us into Panama and out of disaster. We’d spent 12 hours on an assortment of steaming buses to get to the Panamanian border, only to be denied entry for reasons I wasn’t able to understand. The bus was long gone, we were exhausted — and our side of the border offered no services and nowhere to sleep. I was used to being the grown-up, but my Spanish was not up to this task. As I choked back tears, our eldest daughter stepped up to the counter. Twelve-year-old Hannah spoke to the immigration official with a fluency that dropped my jaw. In Seattle she was still a little girl; at the border, she talked us into Panama and out of disaster. There’s nothing like facing the same problems at the same time, whether they’re tiny glitches or near calamities, to bring members closer. A gap year makes the whole family strangers in a strange land together. Many families report newfound closeness between their kids as one of the most lasting and tangible effects of their time away. And of course, the big question: What happens to us, to our kids, when we get perspective on an issue so large it has its own hashtag: #FirstWorldProblems? “One of the most lasting effects of our travel is our kids’ increased awareness of the difference between needs and wants,” says Chris Eastland, Fruit’s husband. A gap year can be anywhere, but families that traveled in the developing world report that everyone’s sense of what’s required was recalibrated: Smartphone? Want. Food and clean water? Need. Parents want to help their children understand that they don’t live on the “have-nots” end of the socioeconomic spectrum, and most of us have a really good lecture about that. Mine used to begin, “You have no idea how lucky we are . . . ,” and I pulled it out whenever my kids even hinted at a complaint about sharing a bedroom or not having an Xbox. Surprisingly, this lecture never made my children feel particularly lucky. But our family had to think, hard, about the meaning and responsibility of our own privilege when a pair of Nicaraguan children stood silently, 3 feet from our lunch table, hoping we might leave something on our plates when we left. As parents living in one of the richest regions of one of the richest nations on the planet, raising kids who truly understand the truth and responsibility of their privilege is hard. But when we see, live and feel the situation of so many who share our world, we live the lesson. Of course, a year in Paris is less likely to highlight the inequality of privilege than a year in Peru. But whether it’s economic privilege or cultural consciousness, living elsewhere teaches our kids that the way we do things at home is not the only way. The Chen-Carlin family: How'd they do it? And what about the downsides? 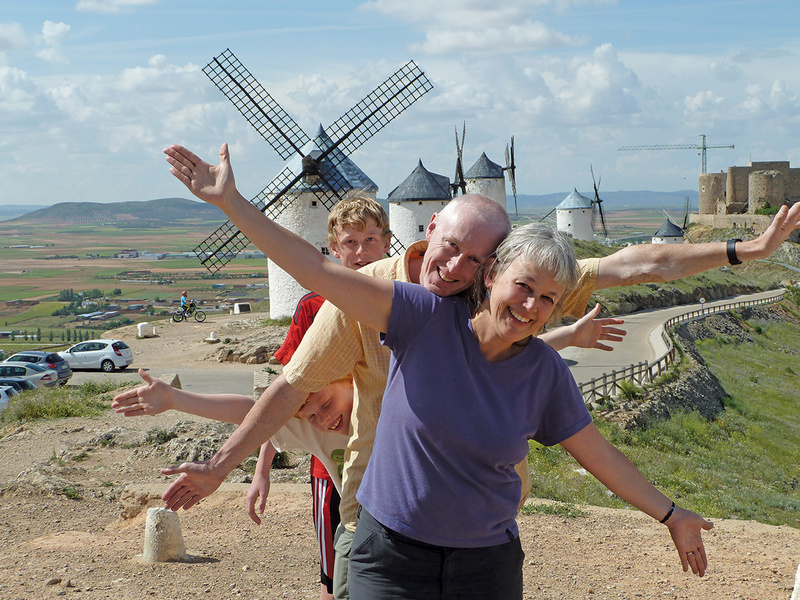 Or is the family gap year just months on end of rosy togetherness? Everyone agrees: Extended travel has its challenges. For one thing, when you move to a different culture, you get a different culture. The Kardashians notwithstanding, the USA does not have a lock on cultural bummers. Just ask Sally and Sam. The local Peruvian culture had a harsh surprise for athletic Sally, who attended fifth grade in a town where only the boys played organized sports — girls sat on the sidelines, watching. And Sam found that it wasn’t just the Spanish that made the math completely foreign. “We knew school would be all in Spanish, but we didn’t think how different the rest would be,” Sam recalls. In addition to the lack of sports at recess, “The kids all spent the day in one room and didn’t move around,” says Huston, Sam’s dad. Missing school in the states can pose academic challenges, too. Lucy Carlin was 5 when her family left. In Taiwan, she learned how to read and write in Chinese — but not in English. And social lives can suffer. Returning from our family’s gap year, our newly bilingual oldest daughter, Hannah, whose peers couldn’t fathom how she had spent seventh grade, spent eighth grade lonely and isolated. Gratitude is another lesson that’s hard to lecture our kids about; it’s unlikely that any of us could talk our kids into being grateful for the hot-water heater. But when they live somewhere without one? No reminder required. But here’s another challenge: living in an American city in a house that has more people than bedrooms and trying to convince the children that this fact alone does not make us underprivileged. Stamps in a passport are hardly requirements for growing qualities such as independence, problem solving and awareness of our place in the world, or for an unshakeable closeness within the family. But when the families in this story took themselves away to another life, another culture, they found that many of those gifts just kind of happened. Who would have guessed that this kind of adventure, this time out of time, would turn out to be the easiest, most direct way to teach some of the values and life skills we desperately want to give our kids? In a new life, in an unfamiliar culture, families live the lectures instead of having to speak them. That part, it turns out, is not hard at all. Chris Eastland, Dianne Fruit, Ridley and Rory | Home: Kenmore, Wash.
Where did they go? Costa Rica (two and a half months) and shorter stints in various places in South America and Europe. The whole family volunteered at a sea turtle conservation camp, and Fruit and Eastland also volunteered at the school Ridley and Rory attended in Costa Rica. How did they manage work/money? Fruit had a paid sabbatical from her job as a community college instructor; Eastland took unpaid leave from his job as an engineer. Both were able to return to their jobs. Bill Richards, Ashley Steel, Zoey and Logan | Home: Bellevue, Wash.
How did they manage school? The girls went to an international school in Vienna. How did they manage work/money? 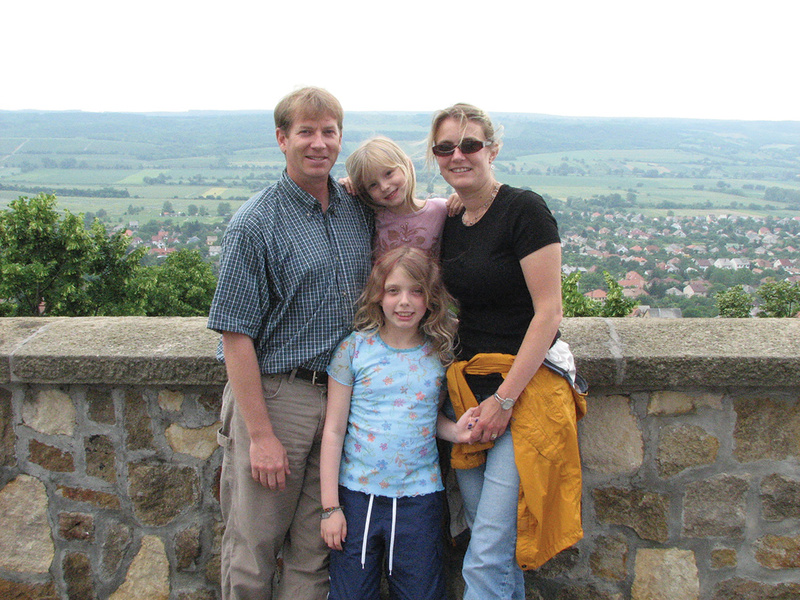 Steel’s Fulbright Fellowship took them to Vienna, where they both continued working as professional ecologists. Margot Page, Anthony Salisbury, Hannah, Harry and Ivy | Home: Seattle, Wash.
How did they manage work/money? Salisbury and Page both quit their jobs. With no salary income, they lived on the $800 difference between the mortgage payment on their Seattle house and the amount they were able to rent it for. Leaving wasn’t scary at all, but the idea of coming back with no jobs and no rental income was. Both are again employed. Sherry Smith, Matt Huston, Sam and Sally | Home: Seattle, Wash.
How did they manage school? Inexpensive (by U.S. terms) private school that drew from the local community. Sam and Sally were the only non-Peruvian kids in their school. How did they manage work/money? Huston, a middle-school teacher, was granted a paid sabbatical with a “deliverable” to complete a study of Peruvian cookery. Smith quit her job as an exhibit writer at a design firm. “That was six months of stress,” says Huston of Smith’s job search on their return. 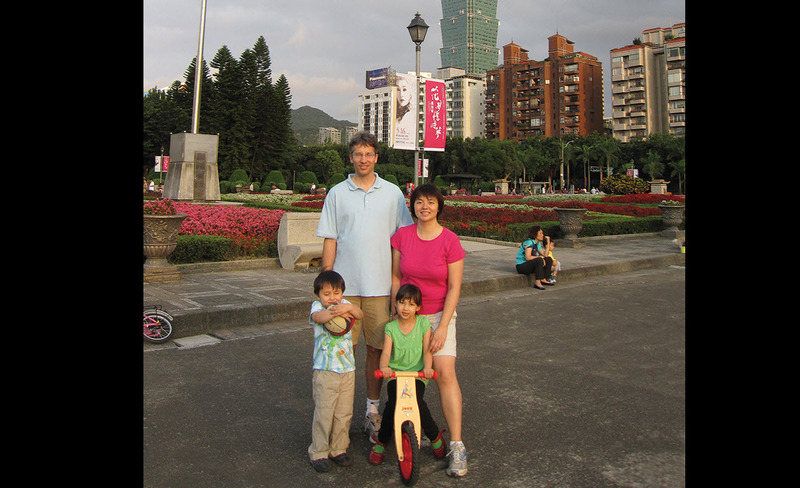 Sharon Chen, Peter Carlin, Lucy and Leo | Home: Seattle, Wash.
How did they manage school? Both attended a private school with classes taught completely in Mandarin. How did they manage work/money? 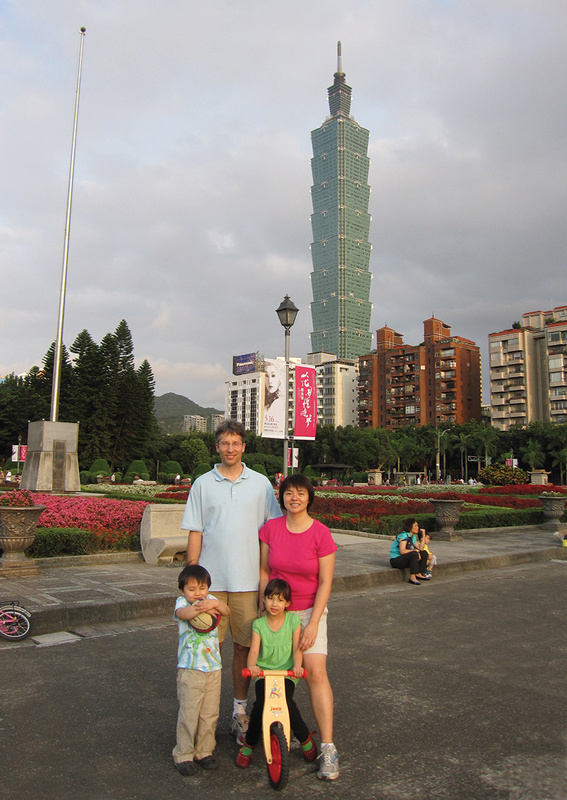 Carlin, a manager in high tech, was able to get a job that moved him to Taipei. Chen was an at-home mom, as in the states. The Career Break Traveler’s Handbook and website. Jeff Jung offers practical advice on dreaming and planning extended travel. Family on the Loose book and website. 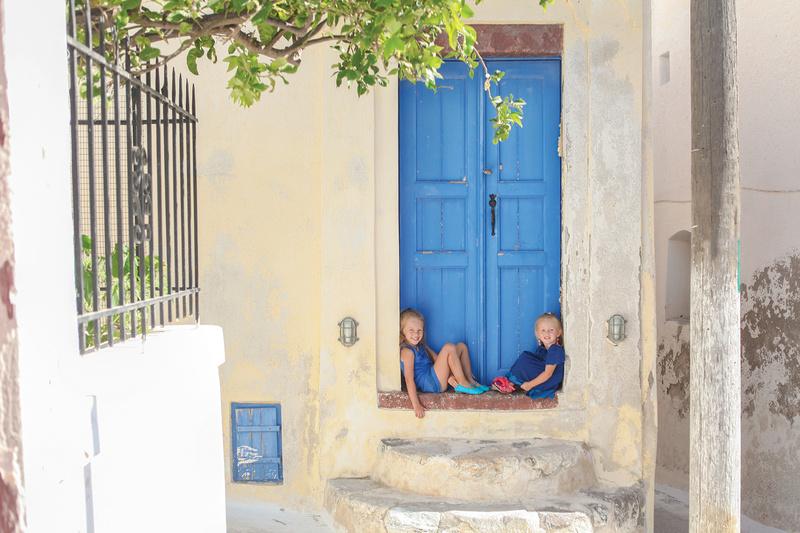 Ashley Steel and Bill Richards share what they’ve learned in their years of traveling with their kids. Expat websites worth checking out include The Displaced Nation, Overseas Radio and The Emotionally Resilient Expat. Margot Page’s memoir Paradise Imperfect: An American Family moves to the Costa Rican Mountains was released in 2013 by Yellow House Press. 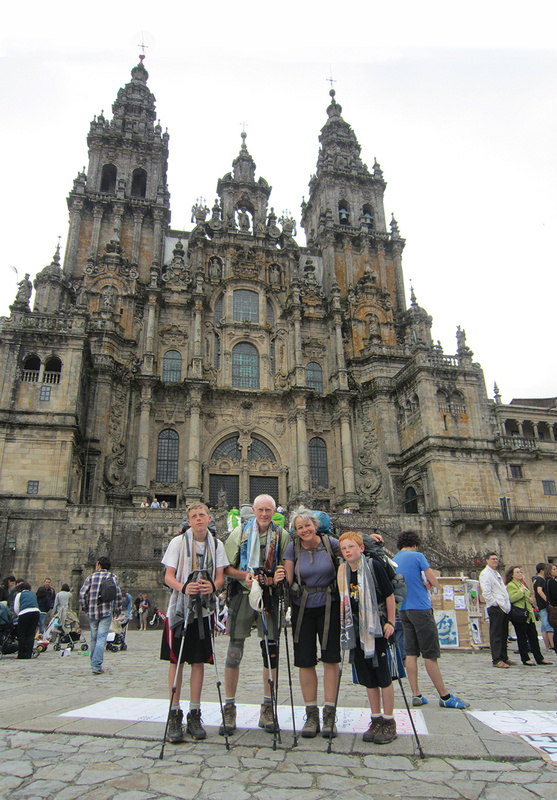 She blogs about, travel, Pope Francis, and things that amuse her at margot-page.com. She lives, writes, and works in Seattle, Washington.